The focus of this year’s recent annual away day for Trustees and senior management team (SMT) was on organisational culture. The attitudes, beliefs, customs and values of an organisation and how they are set, embodied and monitored is increasingly seen as a top priority for boards by organisations such as the Financial Reporting Council, the Chartered Institute of Personnel and Development and the Chartered Institute of Internal Auditors. We recognise the need to reflect this changing emphasis on integrity, leadership and embedding the desired culture, across all areas of the Society. We looked at the way we make decisions and establish shared goals, at interactions between members and staff, and at how we communicate and determine our strategy and our direction. We debated what we want to hold on to about the current culture in the BPS and what needs to change. It was evident that we value our dedication, ethics, high standards, skills, sharing of knowledge, evidence-based approach and the commitment to the discipline and to the Society. We also recognised that we need to see more openness, decisiveness, appetite for risk, creativity, assertiveness, valuing and inclusion, flexibility, agility and responsiveness. We need to address the perception of a culture of ‘them and us’, and of ‘playing games’. It emerged how some aspects of BPS operations are two sides of a coin, for example our strong governance and democratic procedures can turn into a straitjacket that limits innovation. Our organisational culture matters. 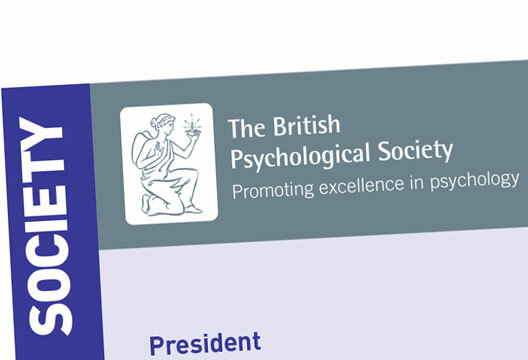 It sets the tone for the healthy development of the Society; for how we use psychology to enhance lives, communities and wider society; for the members who commit their time and energy; and for the staff who dedicate their working lives to the Society. After recognition, action must follow. The SMT will now lead on some immediate and visible deliverables, which are appropriately resourced and with timescales, as our first steps to delivering on the desired culture across the organisation. Many of you will know about our structural review, and that our proposals are aimed in part at achieving the culture change we want to see. Your ideas for that culture change, particularly membership aspects, can be submitted at [email protected]. To deliver meaningful cultural change will require our collective efforts.